"Dna from the suspect is on the stolen regalia"
"New evidence strengthens the case against a 22-year-old man suspected of stealing begravningsregalier from the 1600s in a brazen coup against the Strängnäs cathedral in the summer. According to the supplement, which prosecutors submitted to the district court in Eskilstuna is the accused man's dna on two of the stolen items, writing Eskilstuna-Kuriren." "the Man's blood has been found both in and outside of the booth, where regalia were displayed and in addition on a bike that should have been used as flyktfordon after the theft." 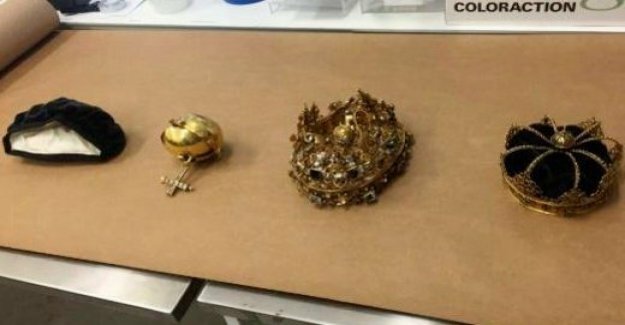 "The stolen regalia, a riksäpple and two royal crowns in gold, were found during the ongoing trial and the prosecution then had ten days for further investigation. The hearing is expected to be completed on Friday." "Another two men, 24 and 26 years old, has been detained on suspicion of gross handling of stolen goods, and shall, according to the prosecutor of being involved in the coup."